Yes it’s a lovely photo. The colour and the shape of them – you can’t help but smile! Hi Jerry, thanks for listening. I hope you really enjoy your new melodica. Thanks Alan! I’m going to play a few carols in a park tonight. If I get any footage, will share. That’s a great present for you Hans! Looks in very good condition. Very cool. Oh wow! I just subscribed to the channel. Thank you Alan! I’m not a Facebook fan. This space is so considered, and quietly encouraging. Hey Hans, you are very kind. But I think this forum is really about how beautiful our MELODICAS are!! Better late than never, I just blogged about playing with my friend in April this year. There are 3 videos of us, it was raining, but we had a good time. Excellent song and love watching the Monsters of Melodica . 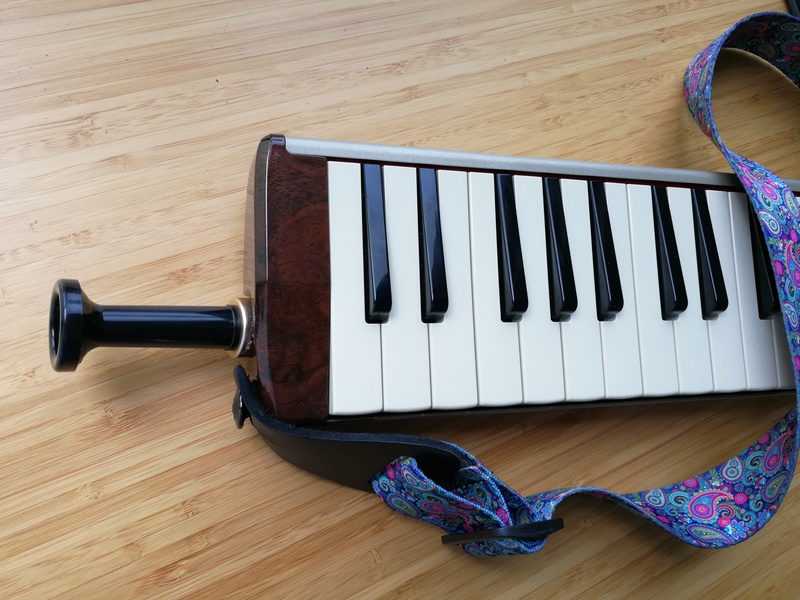 The one-of-a-kind melodicas sounded great, and I heard some nice very high flurries – was that a soprano melodica? Could have even been a flute! Well done.